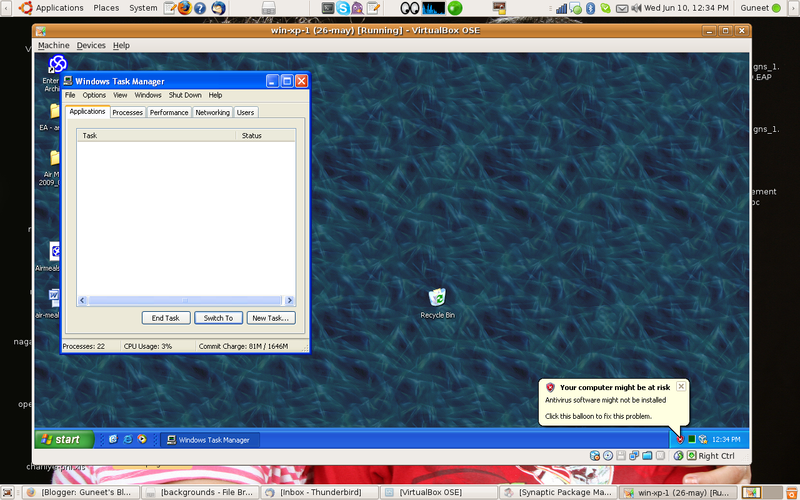 This entry was posted in linux and tagged ubuntu, virtualbox. Bookmark the permalink. Guneet – What are the hardware/software specs. of the m/c on which you conducted this config.? Wow Prateek that’s quite a complex setup – but isn’t VM Ware pretty expensive? I used free VMWare server virtualization software. I think they still have the free-version available on their website. 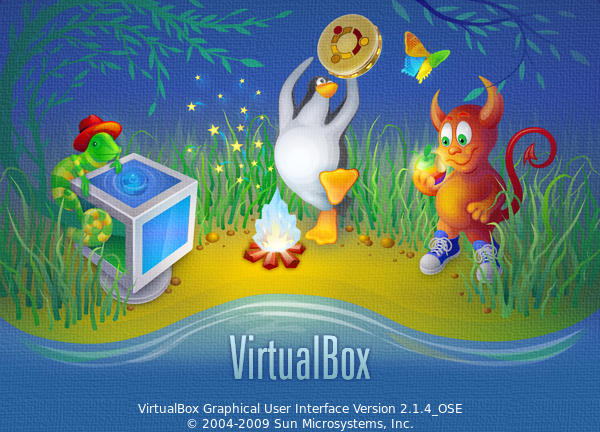 I have used VirtualBox (SUN) as well and I find it very easy to use and consumes less resources (useful especially on older machines). Running them off on external USB drives is very easy because Ubuntu makes the drive bootable by default when you install. Just need to make sure that your BIOS supports USB booting (and BIOSes after 2003 do support it).